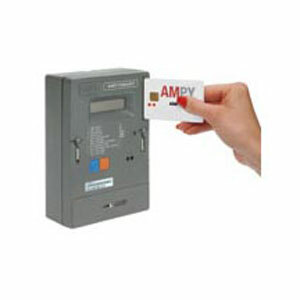 The system offers two-way data transfer between consumer and energy supplier. The Smart Card issued to the consumer is charged at the Sales Terminal with monetary or energy credit and at the same time consumer information, i.e., tamper detection, consumption is downloaded. During this process, any tariff updates will be loaded onto the card, which in turn will be transferred to the meter when it is next inserted. Once a day, all the data which has been stored by the Sales Terminal is sent via disc or telephone to the head office Master Terminal. All this information is then used to generate Consumption Reports, detect potential fraud, etc.